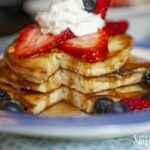 These easy homemade pancakes topped with mixed berries are the best tasting pancakes ever. 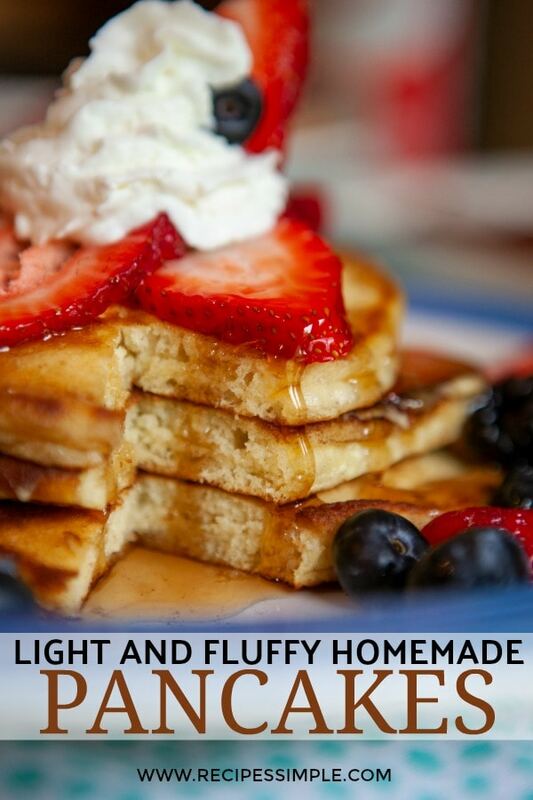 So light and fluffy and perfect with a dollop of whipped cream and your favorite syrup. 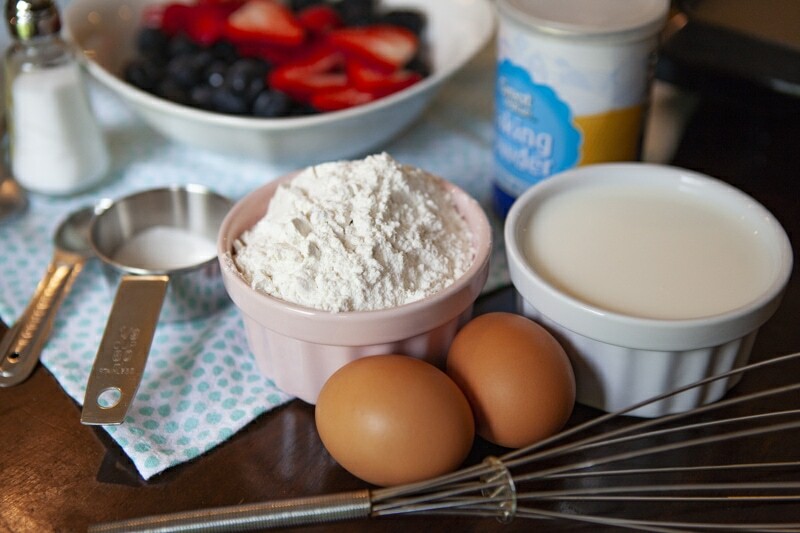 Skip the box mix and make your own homemade pancakes. 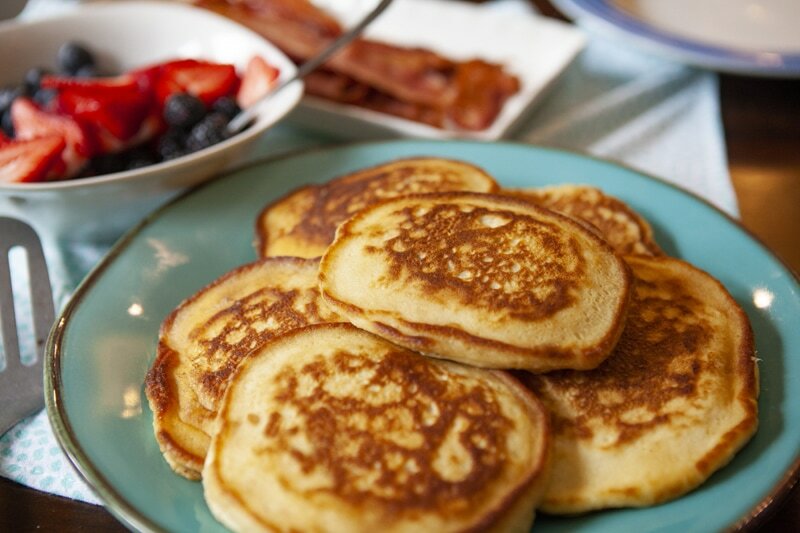 These made from scratch pancakes are full of flavor! Seriously, just look how good these look! 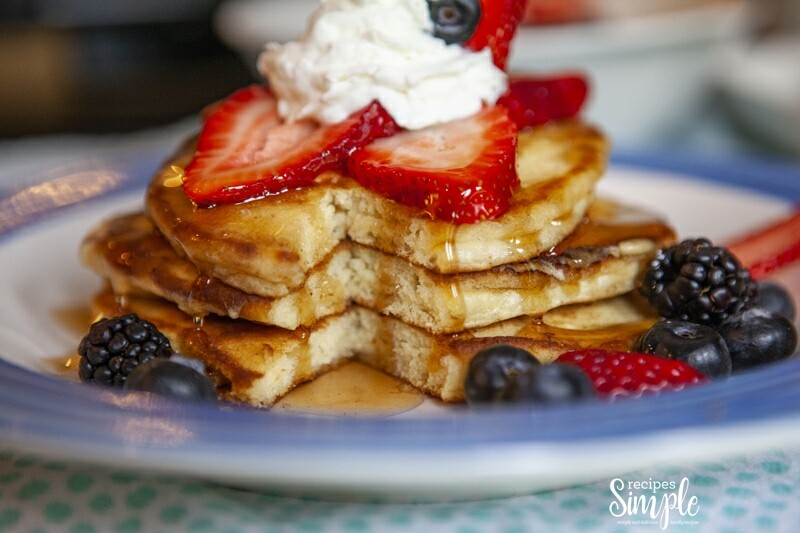 This is the most delicious pancake recipe and your family will love you for making it for them. Gather your ingredients and let’s get started. Pre-heat your griddle to 350 degrees or your skillet to med. In a large bowl, sift flour, baking powder, baking soda, salt and sugar together. 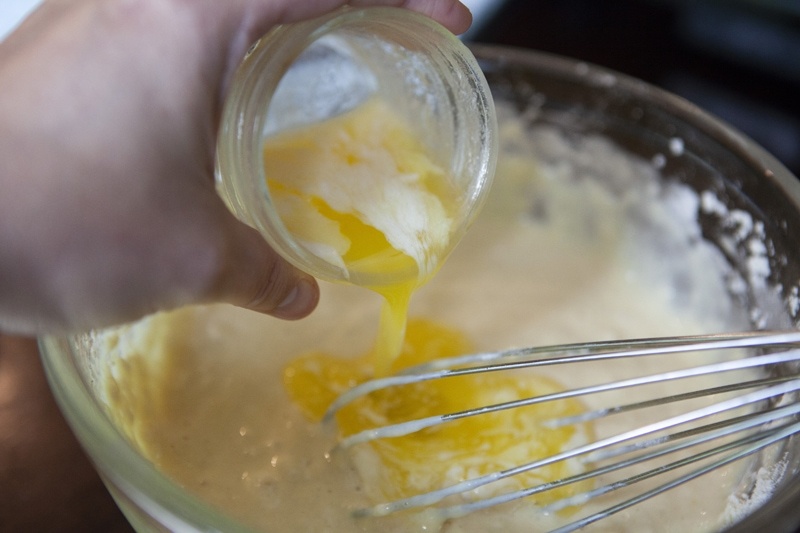 Add eggs, melted butter, and milk to the dry ingredients. Using butter or oil, grease your cooking surface well. Scoop the batter onto the griddle, using about 1/3 cup for each pancake. 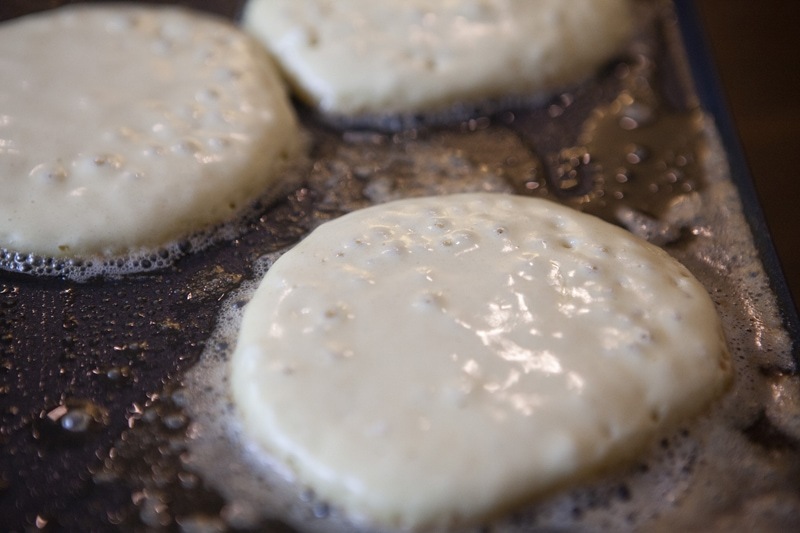 Cook pancakes until bubbles form before flipping. For the toppings combine chopped berries together and pour over stacked pancakes. Add a dollop of whipped cream and your favorite syrup. Pre-heat your griddle to 350 degrees or your skillet to medium heat. 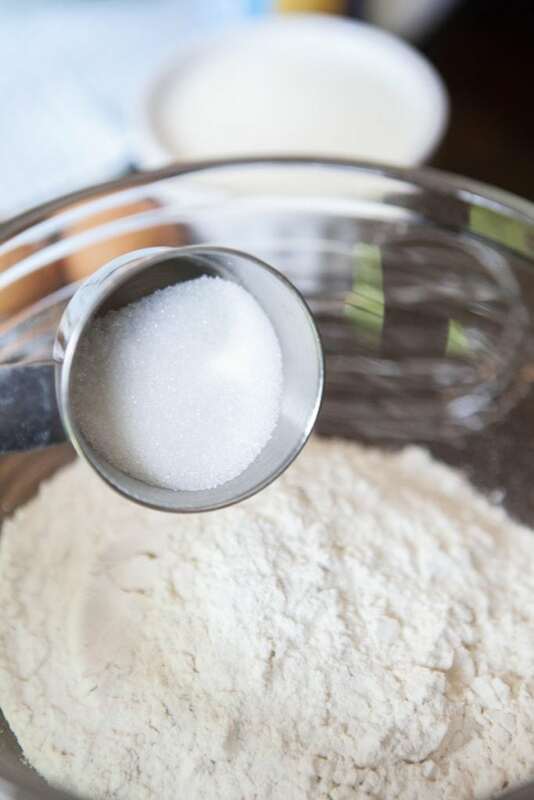 In a large bowl, sift flour, baking powder, baking soda, salt and sugar together. Using butter or oil, grease your cooking surface well. 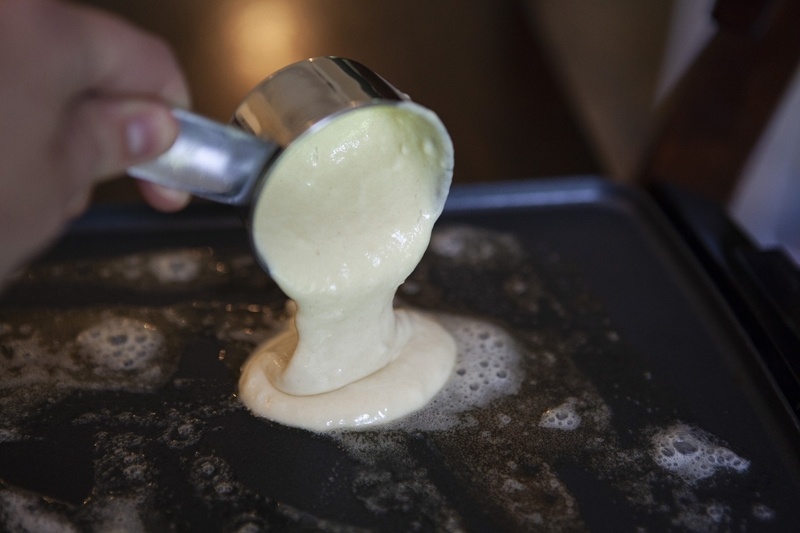 Scoop the batter onto the griddle, using about 1/3 cup for each pancake. Toppings: Combine chopped berries together. 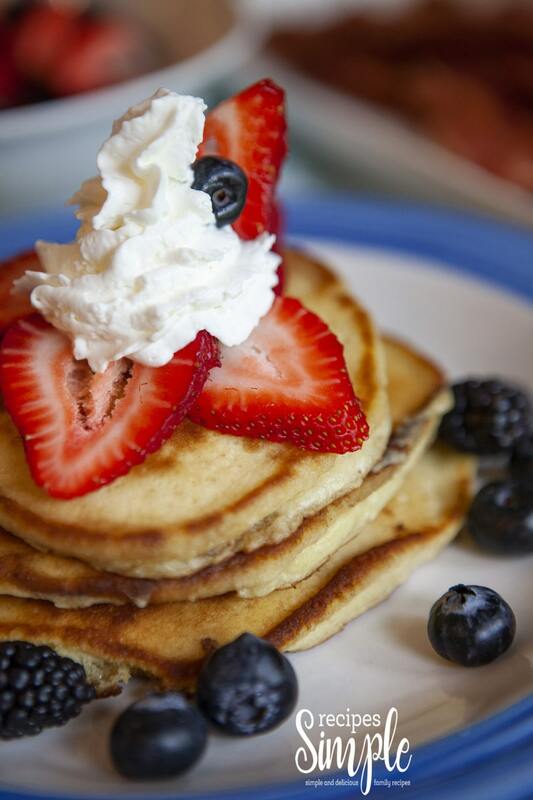 Pour berries over stacked pancakes and add a dollop of whipped cream and your favorite syrup.